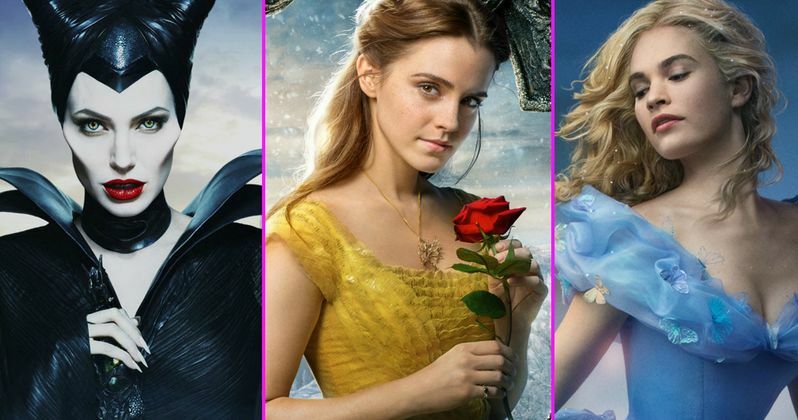 How Much Does Disney Pay Its Live-Action Princesses? Earlier today, we reported that Disney's highly-anticipated live-action adaptation of Beauty and the Beast is on track for a huge opening weekend, with a Thursday preview gross of $16.3 million, the third highest Thursday tally ever for the month of March. While early projections had the movie earning upwards of $120 million during its opening weekend, some have it earning as much as $155 million when all is said and done. As the movie opens nationwide today, a new report claims that Disney may not have paid star Emma Watson as much as they should, for a movie of this caliber. The Hollywood Reporter reveals that Beauty and the Beast star Emma Watson was only paid $3 million up front for playing Belle, although this report claims she could earn much more if the film is as big of a hit as expected. Sources claim her payday could rise to $15 million, if the box office take is similar to another fairy tale adventure, the studio's 2014 hit Maleficent. That movie, which starred Angelina Jolie as the title character, opened at $69.4 million, en route to $241.4 million domestic and $758.5 million worldwide, from a $180 million budget. Ironically, Angelina Jolie is one of the few stars who Disney did shell out the big bucks for, paying her $20 million up front plus more in profit participation for starring in Maleficent, but the studio has reportedly been notoriously thrifty as of late, with some claiming that they're as "cheap" as the penny-pinching Marvel Studios, which Disney owns. The studio was eyeing Will Smith to star in their upcoming Dumbo reboot, but the star walked away when the studio wouldn't pay him the $20 million he was asking for. He ultimately went on to star in Netflix's Bright, where he got the $20 million he was looking for. Here's what an unnamed agent, who has a client who starred in one of Disney's live-action fairy tale adaptations, had to say about Disney. "If it's the right vehicle for the right star, they can be great. But Disney also has the luxury to not have to put a star in there." An unidentified lawyer also added that the studio is "cheap with everyone," with the site reporting that Beauty and the Beast star Dan Stevens was denied a car rental upgrade to accommodate his two children. Cinderella star Lily James received similar treatment when the studio refused to pay for her mother to sit in first class with her on a flight. Here's what an unidentified producer had to say about the studio's thrifty ways. "The IP is the star of the movie. If you hired Jennifer Lawrence as Belle, would it really make a difference in the opening of Beauty and the Beast? Unlikely." Emma Watson reportedly earned a whopping $60 million combined for starring in all eight Harry Potter movies, although she has been unable to command a similar price since then. If Beauty and the Beast opens as big as expected, it could very well put the actress back on track to command huge paydays once again. We'll have to wait and see if the success of Beauty and the Beast could get Disney to end their penny-pinching ways, although that seems unlikely.